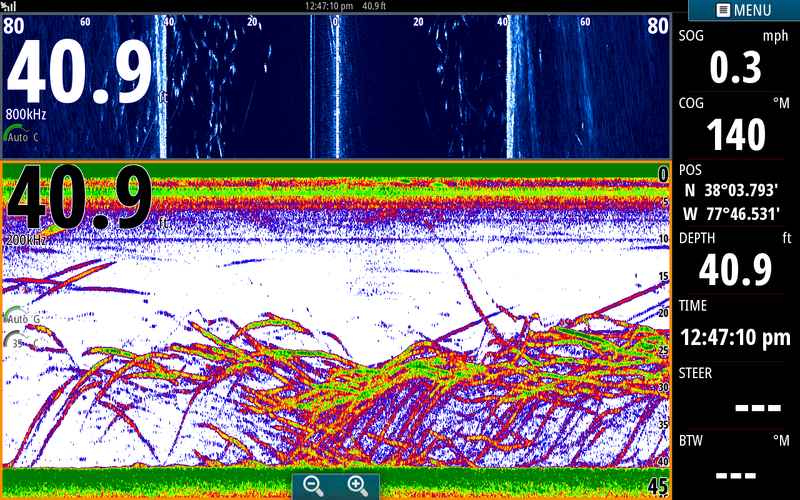 Here are a couple screen shots from my new Simrad. If it keeps finding fish like these it may be a keeper. I am over a Huge school of Stripers. I located them while running 22 mph, slowed the boat down and made a 180. I slipped the trolling motor into the water and there they were. I stayed on the school for about 40 minutes, keeping an eye on my graph. If I saw more fish to the left side of the boat which is shown on the side scan I would turn my boat to the left and try to keep the boat in the middle of the school. If I started to run out of the school I would turn my boat 90* to locate which way they were going. We stayed on them until they moved up onto a 20 foot flat where they started blowing baits out of the water. 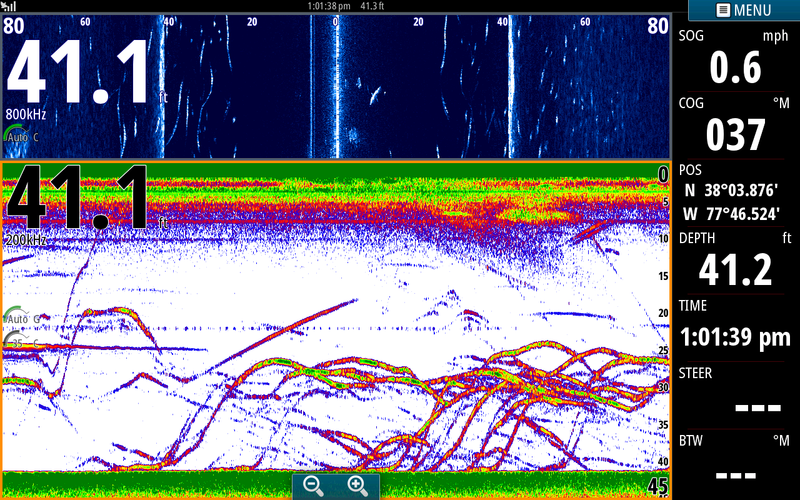 The Simrad looked actually better than this most of the time but I was too busy baiting rods and netting fish to take any screen shots.